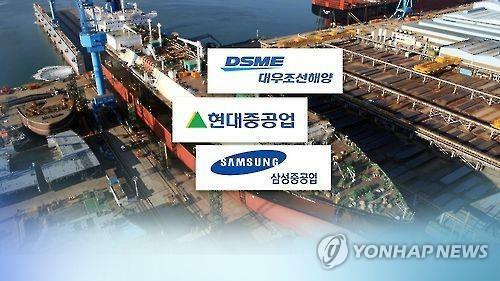 SEOUL, Feb. 8 (Yonhap) -- Samsung Heavy Industries Co., a major South Korean shipyard, is unlikely to join the race to take over Daewoo Shipbuilding & Marine Engineering Co., as its parent Samsung Group is not interested in further expanding its shipbuilding business, industry sources said Friday. Last month, the state-run Korea Development Bank (KDB) signed a temporary memorandum of understanding (MOU) with Hyundai Heavy Industries Co., the world's largest shipbuilder by sales, to sell its controlling stake in rival Daewoo Shipbuilding. "As far as I know, the management is reviewing the proposal (from KDB)," a Samsung Heavy official said. "But it is too early to say (whether to bid or not)." Samsung Heavy is requested to make its own takeover proposal by no later than the end of the month. KDB plans to finalize a deal in early March after reviewing Samsung Heavy's proposal.